"The discrepancies involved five current councillors and three former ones. In nearly all instances, the councillors were marked absent or not included amongst those listed as present in the minutes of a meeting for which they claimed pay on their timesheet." 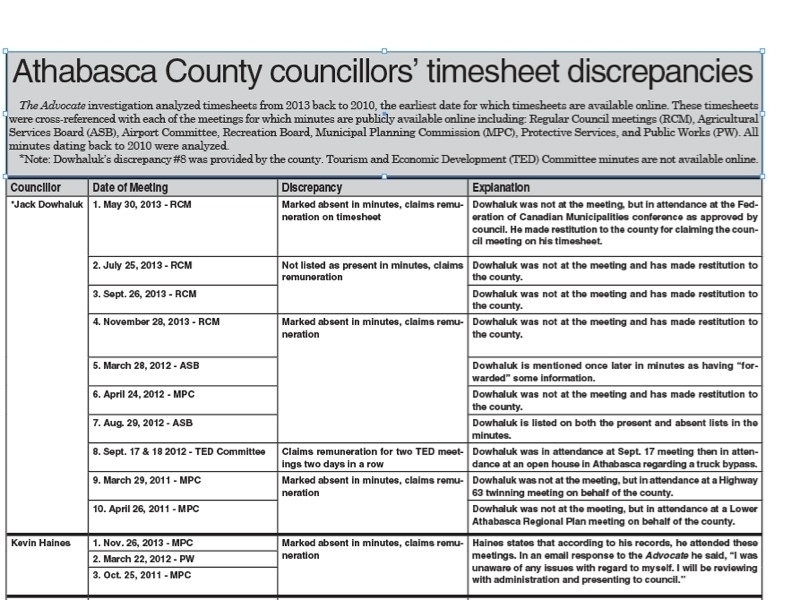 In what turned out to be the first big investigation of my journalism career, I spent months analyzing the timesheets of county councillors dating back five years, comparing them to current meeting minutes. My investigation discovered that several councillors were claiming money for meetings they hadn't attended. Published in the April 1, 2014 edition of The Oshawa Express.